Does it Hurt to Have Ties Released? Frenlum was still close to gumline, this was released in the second procedure. My mouth could open wider, but I was having difficulty showing the release site. This was about 15 hours after release. Notice the pull line on the underside of the tongue. This is one of the clues that point more release needed. Don't be surprised if muscle spasm and fatigue temporary cause pain in the neck, shoulders, back, jaw, wherever the tight muscles have been released. Some find these more uncomfortable than the release itself. Temporary loss of control over the tongue while yawning and sneezing can be somewhat uncomfortable the first few times too. Many people have pain related to tongue tie such as ear infections, reflux, and migraines even from an early age. By the time a person with tongue/lip/cheek ties reaches adulthood there have been plenty of opportunity for uncomfortable dental procedures from braces, to shots for numbing, extractions, fillings, and root canals to painful cleanings because of inflamed gums; and bone grafts because of bone loss. Some people also bite their tongue because the tongue is broad and presses down on the bottom teeth. Having a release is certainly less uncomfortable than all that. Beverly Theresa Durocher Morgan: The first tongue tie release left my tongue sore for about 5 days, not as long as many of the dental procedures I have endured. The third day was the worse as I was careful about moving my tongue the first two days, eating soft foods I did not need to chew. By the third day I began to move my tongue more naturally and the pain was about like a canker sore on my tongue, I also had some trouble saying certain words on that day. I had the bottom lip tie done at the same time, it seemed to bother me less than the tongue, as the tongue moves about a bit. The top lip tie was done later as we were not sure it needed to be done, There was no pain afterwards. I had minimum face/neck/back pain when the tension was released.. I did gentle massage on my cheeks, neck, lips, and tongue. I just pulled the lips up and away. On the tongue I stretched by reaching towards the roof of my mount and pushed out my tongue to try to make a point using a mirror to be sure the site had not started to heal together. I would advise that a person have some body work first, chiropractic, therapeutic massage, CST, or acupuncture or others especially focus on your areas of discomfort to help release the tight muscles, before and after the release. The second release was much closer to the gum ridge and not as large as the first. If it was the size or the place on the tongue that was disrupted that made a difference, I don't know, but movement of the tongue was much easier after the second tongue release and as with the lip ties discomfort was at a minimum. I started eating normally the first day not worrying about soft foods. In fact when I work at night with the first release I was aware of my tongue, with the second release I hardly remembered to check for movement. I was more aware that the pain I had been having in my left shoulder when I lay on it was nearly gone. Liz Langthorn: “I had laser release. I didn't feel anything. Recovery- wise my tongue felt swollen for a few days and then sore like a muscle I had never worked out before. 6/18/14 Ana Spencer “ Last Thursday (2014), I had my tongue tie released by laser. It doesn't hurt and its great to feel the freedom of motion. But, even with stretches and massages it reattached already a little bit. Ana Spencer: “Last Thursday (2014), I had my tongue tie released by laser. It doesn't hurt and its great to feel the freedom of motion. But, even with stretches and massages it reattached already a little bit." ﻿What Kind of Treatment or Therapy is Necessary After the Ties are Released? If you have read the quotes from parents first you already know that many have found that combining the therapies that relate to their specific symptoms have enhance the long term success and early discomfort caused by the muscle release. The tie release is part of a long term strategy for achieving optimal function . Compensations are hard on the body and become more difficult to maintain over time. A good chiropractor may do the trick, one that does soft tissue work as well as adjustments would be a good choice and may be the easiest and economical body worker for you to find. Orofacial therapy is a program used to correct the improper function of the tongue and facial muscles used at rest, for chewing and for swallowing., Is a Myofunctional Therapist Myofunctional Therapy (www.myofunctional-therapy.com/). Learning effective muscle movement is invaluable. For a one-time cost you may consider ordering a lip trainer to help with retraining your mouth/cheek muscles. (http://liptrainerguru.com has information about this device.) Overall any child over 4 or 5 can use it if they do not have tight frenlums on the lips. If the frenlums are pressed into by the appliance it can be quite uncomfortable. It takes about 4 minutes at a time and can be used as often as fits the schedule. Twice a day just before going to bed and just as waking is minimally disruptive. Others keep the trainer in the car and use in commutes, but you will get strange looks from other commuters. Optometrist trained in Behavioral Optometry and vision therapy can help to strengthen muscles that have never had the opportunity to work correctly. GI specialist may help with issues such as reflux or constipation. Sleep Specialist ,and ENT's can speed along the process of sleep issues and identify any other problems that may be causing difficulties. Breathing specialists teaching correct breathing. Most tongue tied people have never been able to breathe deeply it is a skill that has to me mindfully learned. Phone apps such as Snore Lab (a small cost for the app) can help you discover patterns of snoring, Snoring may originate from vibrations in soft tissue at the back of the mouth, throat and the base of the tongue. The recorded sounds may help you identify which muscles to focus on. A congested nose will have whistling or popping sounds.The app also provides information on a few exercises to try. Closing down and holding the lip trainer in place can help with retraining your mouth/cheek muscles and encourages the jaw to come forward for mouth closure. Tugging on the handle strengthens your mouth muscles. Exercises are done for about 4 minutes at a time. ﻿" I had mine done last fall by laser. It was really weird and uncomfortable at first and bordering painful. I had swelling and didn't want to talk or use my tongue at all at first. I forced myself to stretch anyway but my revision wasn't done thoroughly so I'm still tied. The only thing different now is I can point my tongue, before it would stay rounded. I'm probably not gonna do it again. I still have quite a bit of tension in my jaw and whatnot, but I'm having a hard time trusting as I was not happy with my son’s release either. I have been to two providers who are generally trusted but my son’s is still really tied. I mainly revised mine to check out the second provider before my son's release." Sometimes, like for Suzanna B, a person gets to the end of the trail and feels that they have used their resources and need to move on. Life would be simpler if we could be sure of success in every endeavor. Evaluating the risk versus the rewards can help in making the decisions and leave us feeling better about our decision in the end if we feel we had enough information going in. An incomplete release may change the function: The compensations learned with the restrictions not working as well but not the freedom needed for correction function leaving the tongue/lips restricted enough so that the results are not as good as could be expected. Research to find a good provider here is helpful as this is still an emerging specialty . The recognition of the impact of having mouth restrictions and how to address them adequately is a new field. Many providers are only familiar with the basic frenulum at the tip of the tongue some firmly dispute the importance of any other ties so finding a provider who is well versed can be frustrating. Check out the questions to ask if you can not travel to a preferred provider with a track record of successful releases. If you are traveling to a provider, start a dialogue with their office and see if by looking at pictures they feel that a release is right for you. Reattachment is likely the most feared adverse result: Reattachment can be though of as the original site closing back up as if it were not released. . The filaments are often seen at first as thin strands in the site of the release, Watching for these during the healing time is important. They can easily be brushed away. As with scar tissue there are yet no well- known predictors. ·As we learn more and add to the clinical knowledge of any subject, new theories emerge. One connection that is being discussed now is that sugar may have a possible impact on healing and filament formation at the frenectomy sites. Minimizing sugar intake in the first few weeks after the release is prudent. If sugary treats are taken pay close attention to see if there is an increase or start of growth in filaments. Some people have needed to repeat the procedure 2 or 3 times with a little better movement each time until the mobility is achieved .Many providers do not charge again to release if there is reattachment within a short time period. .However. some providers prefer to give the release at least a few months with myofunctional therapy to be sure it is not a movement problem that will resolve. This waiting period may reduce the possibility of scar tissue forming. Regrowth can be though of as a different band of filaments growing after the initial site has been removed and well healed. This did happen to me. Well after a year there was no upper frenlum visible at all. Somewhere after that time a new frenlum started to form. At first it was not very big but it continued to grow. It did not reach as far down the gum line but still hampered the smooth muscle around the mouth. Somewhere after the one year mark I notices I was speaking with sibilant S sounds as the tongue portion of the ties regrew ans scar tissue was formed.. By 3 years after my first repair I had another round of releases. There was quite a bit of scar tissue on the tongue site as well as the new frenlum. Again the left side of my tongue was more attached than the right. 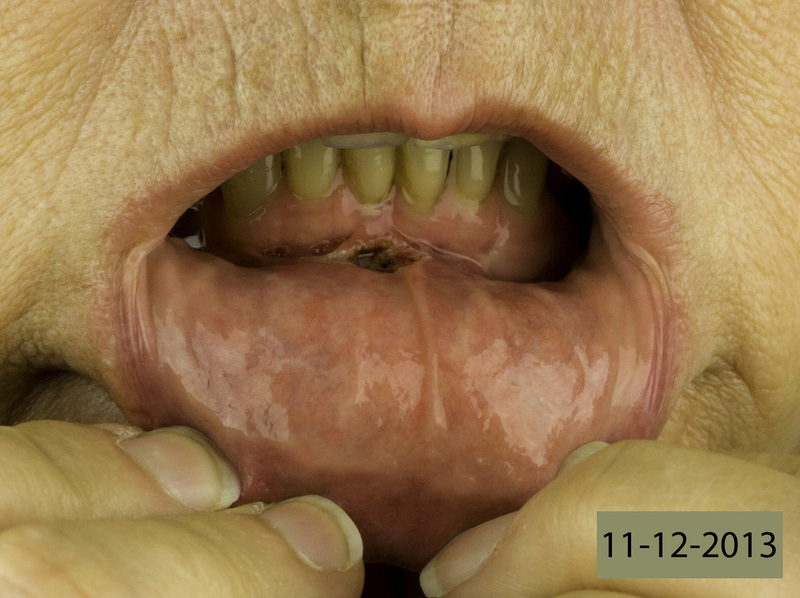 My lower lip tie had a small amount of regrowth and this time we did address the buccal tie. With the first release trying to be conservative we left it, not sure it was a problem. 3 years later i could see it was. The deep pock on the gum near the buccal tie had helped to clarify the need. Thee gains from the first round of releases were not lost with the new regrowth. The emphasis on achieving optimal function as soon as possible is a hedge against loss function. Constant proper function is more likely to hamper restrictions. Bleeding: Some people are on blood thinner medications, discuss that with your provider.There are many different types of congenital bleeding disorders such as Hemophilia and von Willebrand disease (VWD) and most of them are inherited, Choosing the laser option for release can also help to minimize bleeding. Bleeding disorders are not contraindications for having a release. Something to weigh in the balance as you make your decision --results are enhanced by bodywork to help the overused muscles to relax and the formerly unused muscles to function, but one can safely say that the problems left untreated would continue to be more severe over time so releasing the restrictions at worse, won’t make any of the symptoms go away, but will stop them from getting worse. In most cases many of the chronic problems are resolved, some almost immediately, and some over a longer time period with more attention to achieving good function.. The variety of ways the body copes makes it difficult to predict how completely the body will recover once the restriction is released. For me there is no question the releases were beneficial. When I started to show symptoms of functional loss, I recognized it and wanted the full function back. 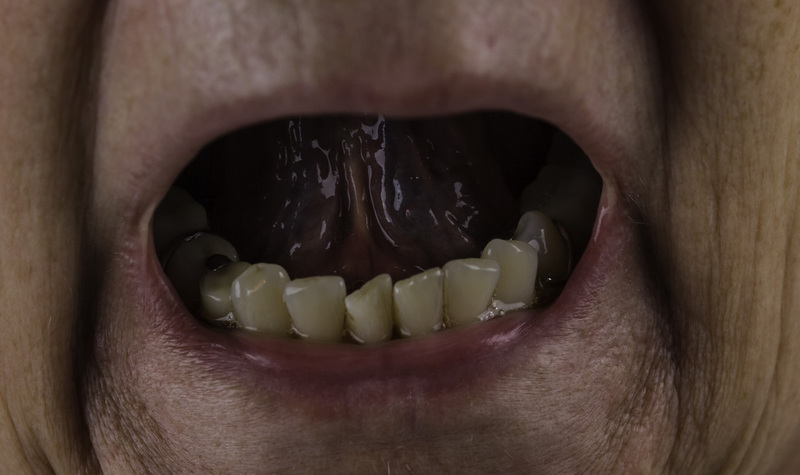 "My first tongue and lower lip release were on November 11, 2013, My upper lip tie was release on February 2nd, 2014 and another tie near the alveolar ridge was released on July 2, 2014 . All my ties were released by an excellent provider. As I have learned more about how an adult tongue functions I suspected that I was not getting the full movement yet. I have listed some of my observations below.. My experience illustrates how important it is to work with a preferred provider. Accessing function is a judgment call backed by experience and together patient and provider can strive for maximum function. Despite aftercare I still could not raise my tongue up any higher above my lip than before my first release, the upper lip tie did not change it either. I still had a bit of a gag reflex; it did not trigger as easily but felt it was still more sensitive that it should be. Still a tendency to bite my tongue a bit, that has never been to frequent but did it a few times lately so I felt my tongue was still too broad and flat. When I look at the profile pictures of me sticking out my tongue it still seemed to short and fat. It still took great effort for my tongue to touch the top of my mouth with my mouth wide open. I was aware of a more sibilant S and still a bit of problems with R at times. I could still feel a tight string on the floor of my mouth when I probed with my tongue. Using Dr. Kotlows two fingers back technique The frenulum still seemed to be attached too close to the gum ridge, using the pop-up technique where the tongue is sucked up to the palate, also pointed to a too-tight too-close to gum line frenulum. I was not able to get the left arm shoulder to the full range of motion it felt tight like my thigh used to feel and even though I would get some flexibility after body work, it would not hold. It had not reattached where it was before, that is very good and I am much more relaxed about the healing this time as so far with the other three releases I did not need to break apart partially healed sites. What had at first looked like it was a minimal tie, was indeed holding down much more tongue tissue.Right away my tongue "felt" longer and moves around further out of my mouth. When I touch my tongue towards the back with my finger and press down the gag is not triggered. It reconfirmed my belief that any tie hampers function and should be released. Even though it may seem almost insignificant there may be much more restriction hidden out of site.My next series of releases corrected some of the problems such as the broad flat tongue when the providers also released fibrous tissues inside the tongue well past the midline. The tongue fit more easily in the narrow palate when it was more flexible so it could do more work at broadening the narrow palate for example. What? There are Other Mouth Ties ?! In the past more attention was paid to tip-of-the-tongue attachment and to complete ankyloglossia where the tongue﻿ is tethered to the floor of the mouth others were generally seen as benign. When a person has a restriction to mouth mobility in one place such as the tongue there are often other ties too. There may be ties on the upper or lower lip as well as Buccal ties which connect the cheeks to gums. Some of the ties are called frenlum and some frenum. For the sake of simplicity I will refer to them all as frenlum. The alveolar ridges also called alveolar margins are the jaw ridges, one on the roof of the mouth between the upper teeth and the hard palate, on the bottom of the mouth behind the lower teeth. You can feel your alveolar ridges with your tongue. They are the surfaces covered in little ridges right above the top teeth or below the bottom teeth. There has been less attention how this area affects function but it would be classified as a tongue tie. This is yet another area to explore especially if there are unresolved mobility issues. If the tongue is attached so closely to the teeth it will cause difficulty.Inside the tongue is another place where removal of ties can improve flexability. Note the curved lines directly under the nose and the horizontal line midway down the upper lip caused by the frenlum anchoring the lip and not allowing full mobility. Upper lip tie, this one did not wrap around the gum line but disrupted function nevertheless. The upper lip frenulum is located under the top lip, in the center, and attaches the lip to the upper gums. Sometimes a thick, fibrous frenlum wraps around the gum and continues up to the palate. 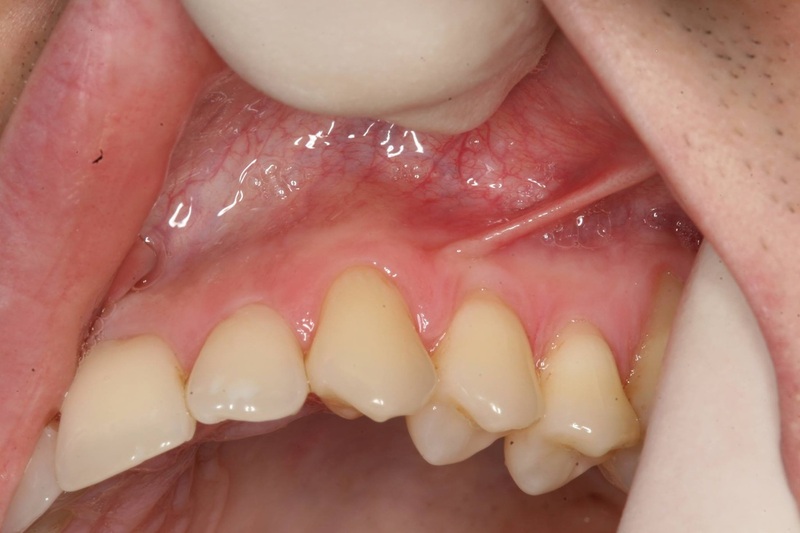 An upper lip frenulum can; cause difficulties making some sounds, restrict movement of the upper lip, and often causes a gap between the top front teeth. 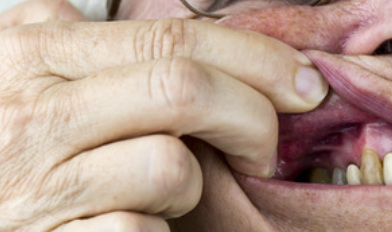 Food and liquid can be trapped and cavities may result.The gums are often inflamed in the fold where the gums and lip meet as it is difficult to brush the area.Lip ties, both upper and lower often makes it difficult to keep dentures in place or cause pain as the denture presses against the frenulum. If the tight frenlum pulls the center of the lip up, it can contribute to poor lip closure and spitty speech. I did not take a picture of the lower lip tie before, I only sent what the doctor asked for and he did not ask for one. However, later before the visit I checked and there it was. On my bottom lip, the gums were pulling away from the teeth there were two strands of frenlum that attached high on the inside of my lip. If you smile and your bottom teeth do not show check for a lower lip tie. I felt the release immediately like a pop of release. It was like the plastic band used around packages snapped as the frenulum was released. The hip being pulled out of alignment cleared up after that release, I believe it was the lower lip tie release not the tongue tie release that fixed that problem. Note the ropey line coming down from the lower gum line is not as pronounced. This is what a lower lip would look like without a tie. 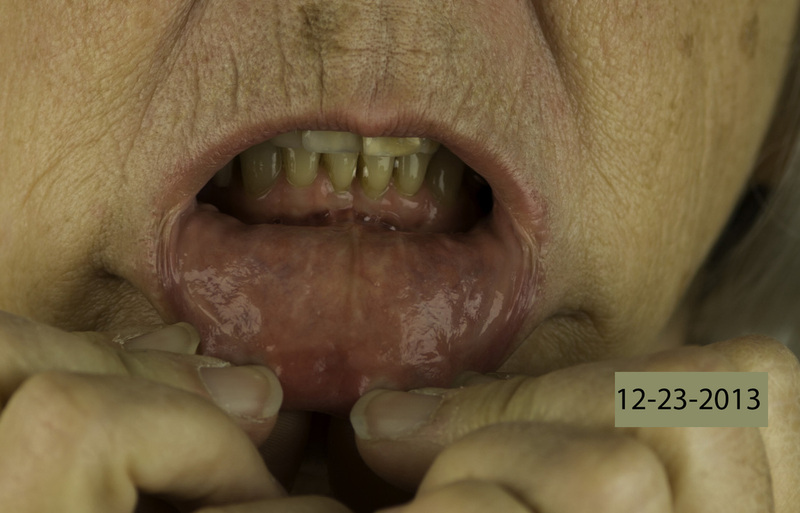 Here is what the lower lip looked like after revision. This is buccal tie (cheek tie) that does not need treatment. These would not look this noticeable if the skin was not stretched to get the picture. The same mouth without stretching to reveal the buccal (cheek) ties. Here is a Buccal tie that was contributing to gingival recession. Contributed by Kristen Berning Dentist at Exceptional Dentistry of the Tri-State Region Member of the Ankyloglossia Professional Support Group. In the past there had not been as much attention paid to buccal ties and their impact is just beginning to appreciated. The pressure of the pulling on the gums near the ties can cause pockets on the gums of the teeth near the ties as the gums are pulled away from the teeth. They can hamper brushing of teeth where the ties are and the teeth behind the ties, because of the lack of access to the gingival margin of teeth in brushing. You may notice that the gums are red instead of pink in the fold where the upper gums cannot be brushed as well. The ties may pull on the jaw muscles causing difficult in mouth opening or jaw discomfort. Depending on how the fascia pulls on the facial muscles any restriction could occur.